At PYNEH, we believe that our commitment to continuous improvement ensures the highest standard of care and service delivery for our patients and clients. 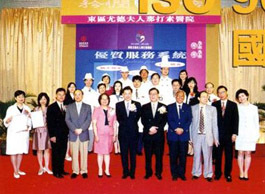 Throughout the years, PYNEH has earned international recognition of its outstanding quality service. 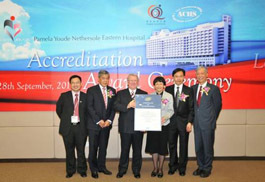 In Year 2010, PYNEH, joined the pilot scheme of Hospital Accreditation steered by the Hong Kong Government, was the first public hospital in Hong Kong obtaining a 4-year full accreditation award by the Australian Council on Healthcare Standards (ACHS), recognized by the International Society for Quality Health Care (ISQua). The path to hospital accreditation was not without obstacles but it gave staff a very rich and rewarding educational experience. In the era of growing accountability and responsibility in health care arena, the challenge for PYNEH is to build on the foundation of staff engagement and strong leadership, ride on the strengths and transform weaknesses into opportunities.